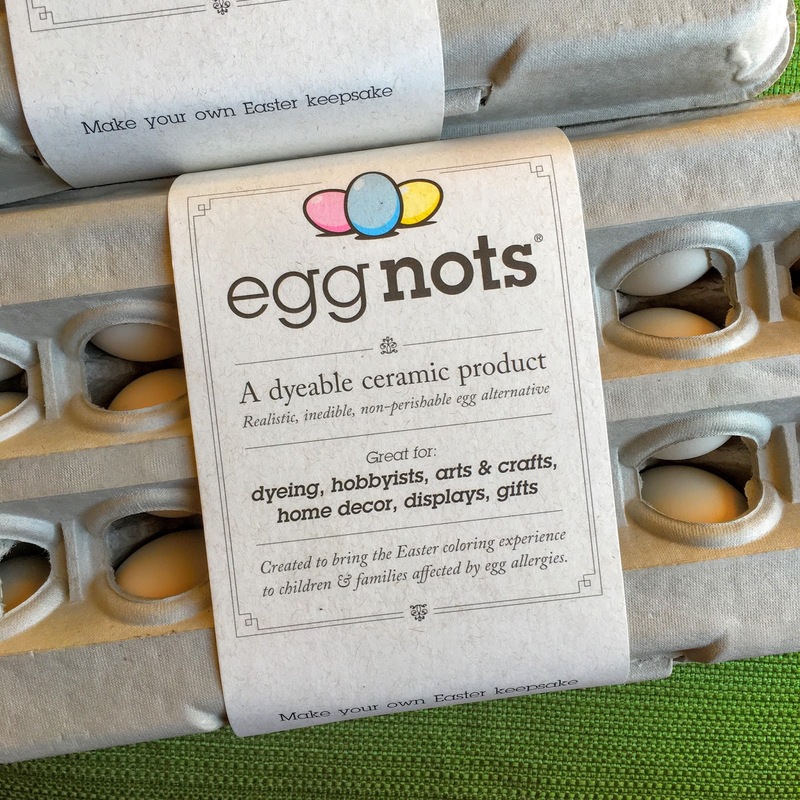 Thanks to EggNots for sponsoring this post. Make sure to enter the GIVEAWAY at the bottom of this post! 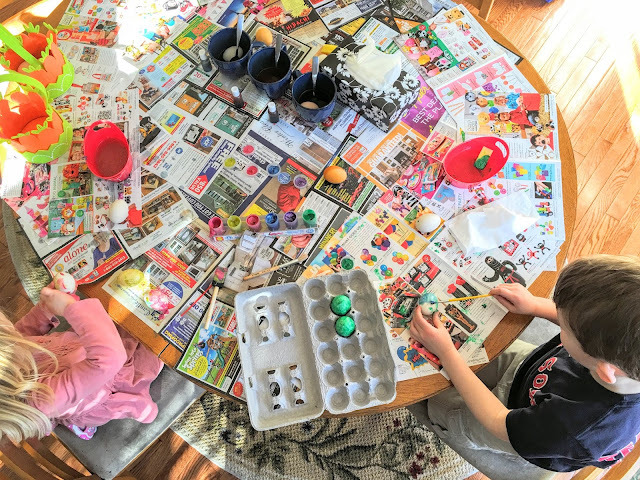 If you celebrate Easter, you know that dyeing eggs is a rite of passage for every kid. But what if you have an egg allergy? Since Little Guy has food allergies to eggs, dairy, sesame, tree nuts and peanuts, we've put a few holiday traditions to the side. 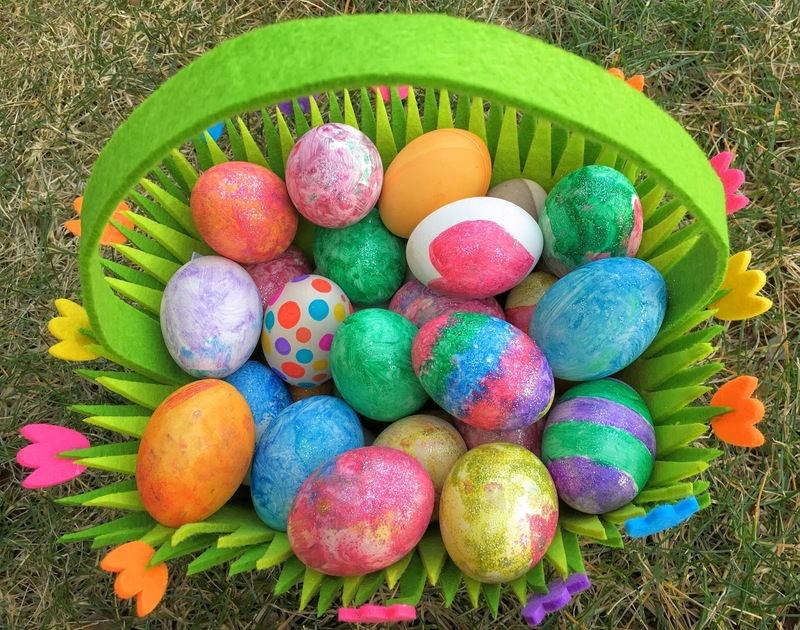 But dyeing eggs is still a tradition we can celebrate because of EggNots! 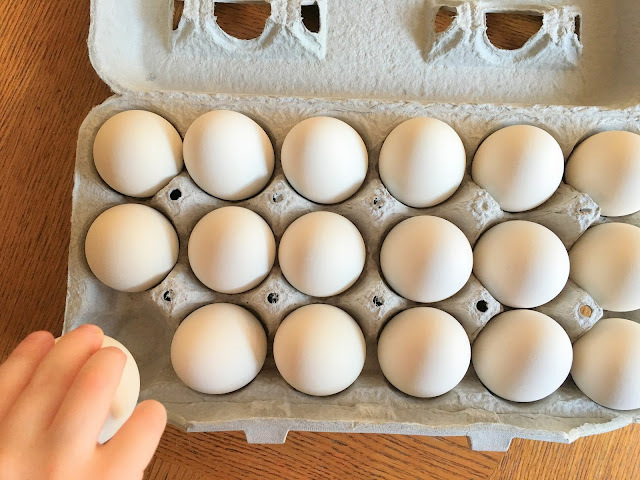 In past years, I bought look-alike eggs at local craft stores that were made of materials like cardboard. However, they were very light and didn't feel at all like real eggs. This is the first year we've tried EggNots, and I was amazed how much they looked and felt like real eggs. From the egg carton to the weight of the eggs (about as heavy as real eggs), they are just like the real thing! The secret? EggNots are a dyeable ceramic product. The ceramic material makes them look and feel so realistic. Little Gal even tried to crack one! Now, this brings up another point. Just be sure to communicate to your child with an egg allergy that these are NOT real eggs. 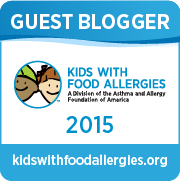 Children with an egg allergy need to know that they are safe for them to touch and use. It's something I was sure to stress to Little Guy before he even touched them because they can easily be mistaken for real eggs. Just take a look at this crazy table! We didn't have newspaper, so we lined our table with old catalogs and flyers. 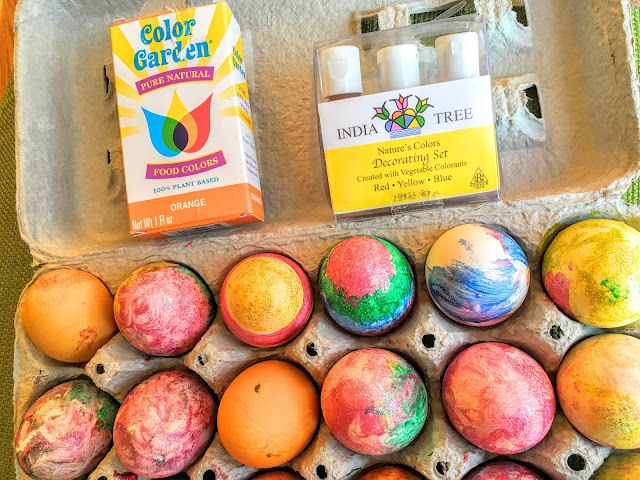 I gave the kiddos a few options for decorating including natural dyes like Color Garden and India Tree. But you know what they loved best? Using a small paint brush to cover the eggs with glitter paint! Aren't they just vibrant and beautiful? There are so many ways you can decorate Easter eggs. From natural dyes to paint, or markers and stickers. However you do it, it's all about spending time together as family, laughing, talking and sharing in special moments - food allergies or not. 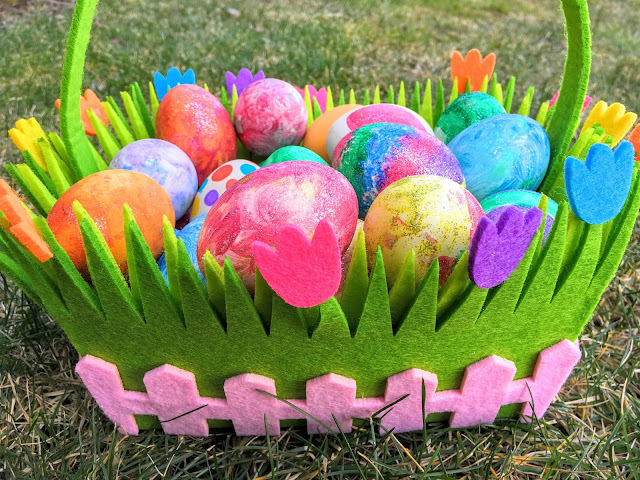 Leave a comment about why you'd like to use EggNots this Easter and be entered to win one 12-pack of EggNots. Two winners will be randomly chosen by 9am on Friday, March 11! U.S. entries only please. 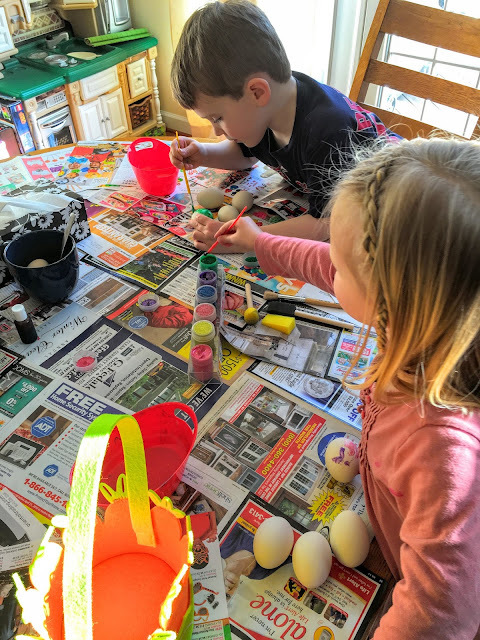 I would like for my son who has food allergies to dye Easter eggs for the first time. 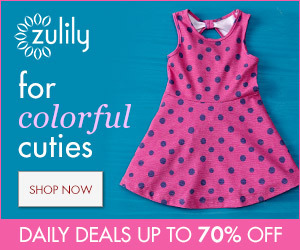 Perfect for my 4 messy boys. No worries about cracking. 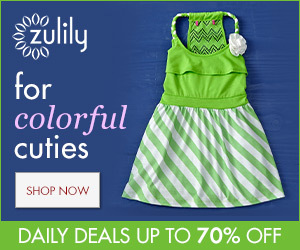 My son and I would have so much fun with these, we love our crafting projects together! Thanks! 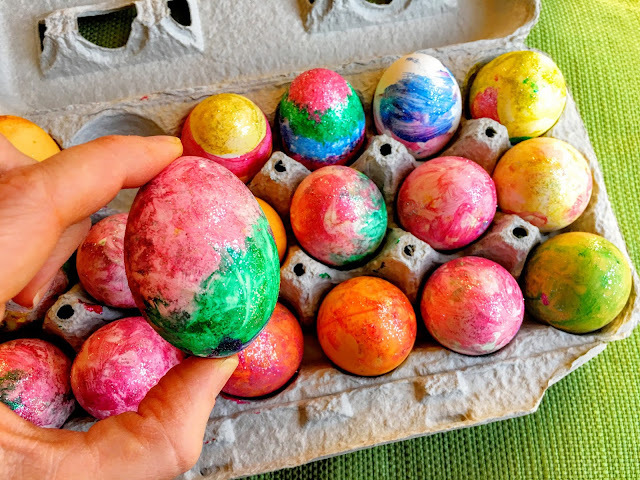 These eggs are so pretty and colorful , looks like kids had a great time painting them ! Cute ideas ! My cousins would love this! They're super crafty! Love EggNots and would love to win some for our daughter's pre-k class so she could join in with decorating this year (severe egg allergy). 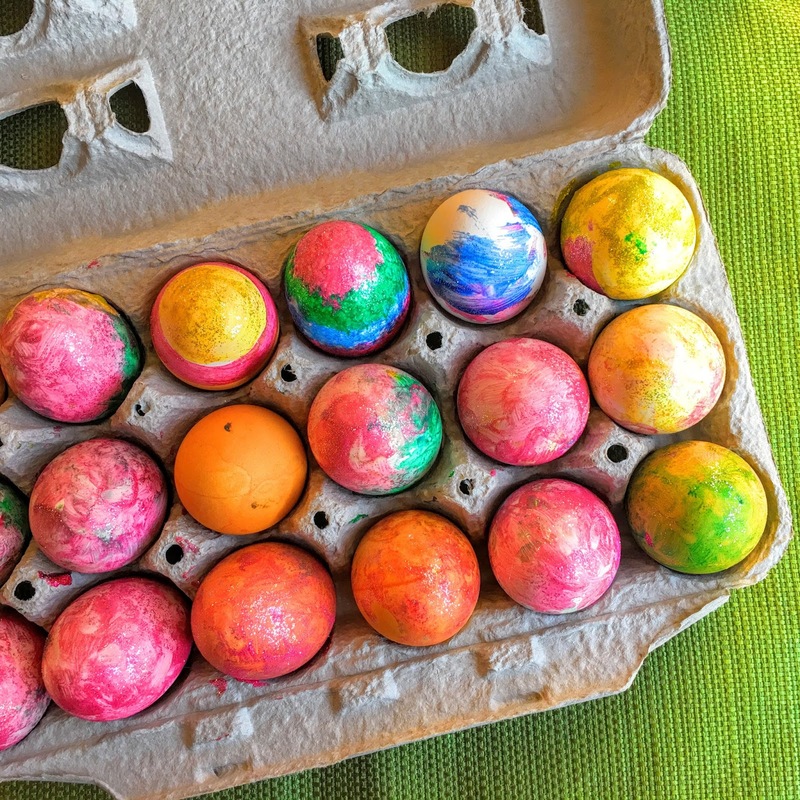 Our family is vegan, but I'd love to use these so my son could experience coloring eggs. This looks like a great product egg allergies or not. It's not wasteful and its sustainable. Sharing! 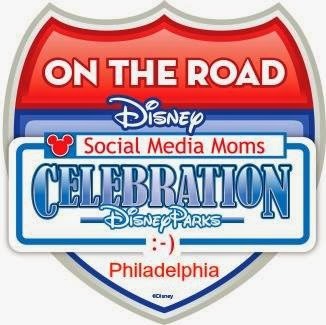 Congrats to the two winners: Kim Waldo and @amiablelife (Instagram entrant)! 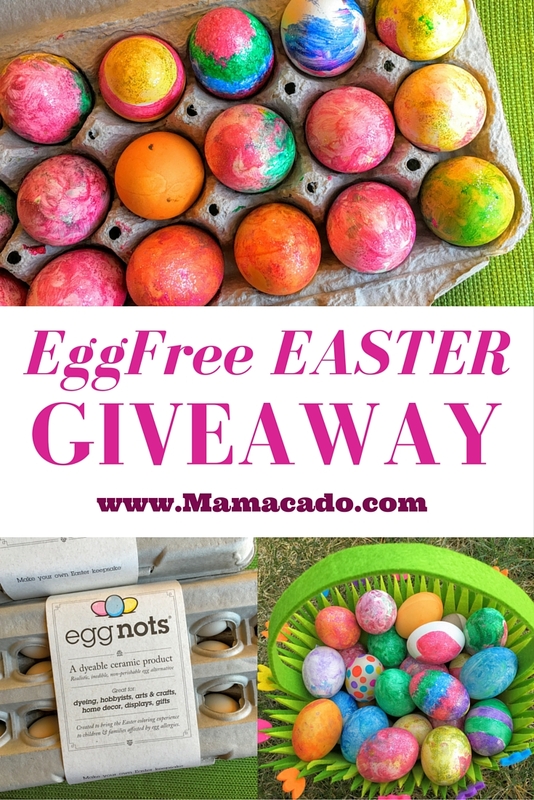 Please email me at mamacado@gmail.com with your mailing address and I'll have EggNots send you each your free 12-pack of EggNots! Enjoy!